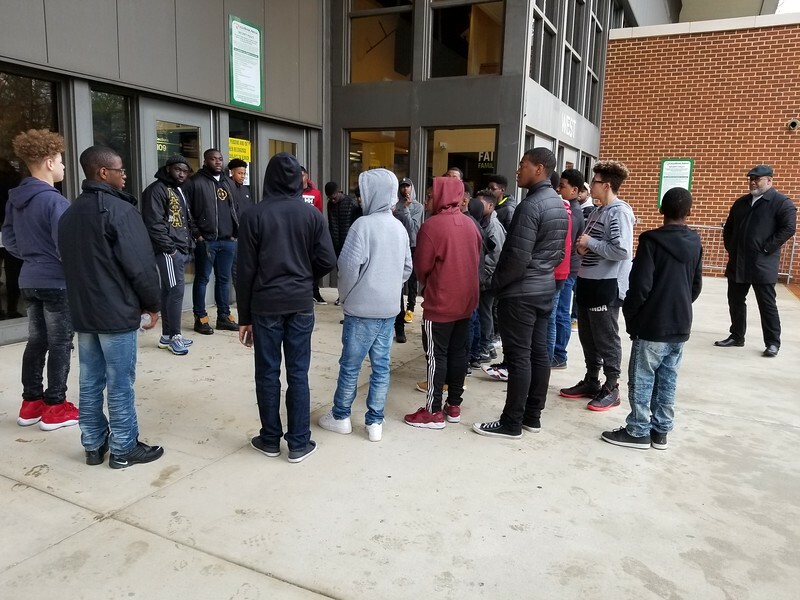 On Saturday, February 24, 2018 from 4:00pm - 8:30pm, Alpha Academy traveled to George Mason University to participate in a Project Alpha session with Iota Alpha Chapter and to attend the University of Massachusetts versus George Mason University basketball game at the Eagle Bank Arena. At the Project Alpha session, Brother Abel and Brother Stav Boateng engaged the young men about the importance of going to college and prospective majors; discussed the importance of setting goals; motivated young men to make decisions about their goals and values, and act in ways that support their decisions; and explained repercussions of their actions and how it can affect their ability to finish colleges. There were a total of 24 young men in attendance with the support of 5 brothers from Xi Alpha Lambda and 2 brothers from Iota Alpha.